This post is going to be a short one as I have already written it once for my laptop to have not saved it. Ooops! Right, now please read all of this before rushing out to Holland & Barrett to buy a bucket load of fish oils with another bucket load for half price! Essential Fatty Acids are called so because it is essential for us to intake these in our diet as we cannot synthesize these ourselves. They come in 2 forms; Omega 3 and Omega 6. Generally our ratio of Omega 3 to 6 should be 1:1 or 1:2 whereas in the western diet is is more like 1:16. This means we need to largely increase our Omega 3 levels to balance this ratio out. Omega 3’s can be found in oily fish like Salmon, Sardines, Halibut and Albacore Tuna. However, unless they are wild fish you are eating, due to the way that fish are farmed they do not produce omega 3. This means to boost your Omega 3 you will need to supplement. For accelerated fat loss 9+ capsules per day. I would say a daily supplement of Omega 3 should be included in everyones diet whether you eat a lot of oily fish or not and if you are wanting to boost fat loss then you need a higher intake initially until you can stabilise around 2-6 capsules per day. 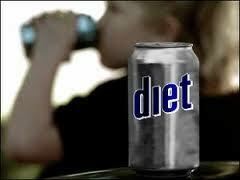 How many people think they are being more healthy by ordering a diet coke with their takeaway? How many people when in the supermarket pick up a muller light instead of that full fat natural yoghurt? Hopefully by the end of this blog you will be more educated as to which choices are better for you in relation to health and which is less likely to cause weight gain. In a 2005 survey by the University of Texas Health Science Center, those people who drink diet soft drinks actually gain weight. The study found that “for every can of diet soda people consumed each day, there was a 41% increased risk of being overweight.” Why is this? When you consume something sweet your body gets ready to deal with the sugar, so your pancreas starts secreting Insulin into your blood stream. Insulin is responsible for opening up cells of the body to allow sugar from the blood to be stored in these cells, usually as fat. As your cells uptake sugar from your blood, your blood sugar levels then drop. 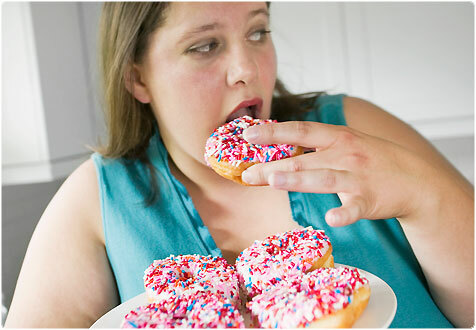 This causes you to crave food as your body is crying out for the sugar you have not received from your diet drink. Studies show that this can lead to eating up to 3 times the amount of calories of someone who has not had the diet soft drink. Now if you are eating 3 times the calories because you crave sugar from your diet drink, you are bound to put on weight. 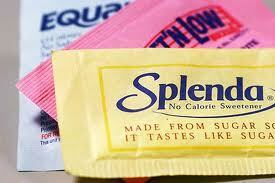 Also further studies have shown that some of these sweeteners can cause chronic metabolic disorders. With this being the case, not only can they effect your eating habits and weight control in the short term, they can effect your metabolic system in the long term, causing lifetime battles with obesity. Studies show that Acesulfame K stimulates insulin secretion in a dose dependent effect, possibly agrevating Hypoglycaemia (Low blood sugar attacks). It also apparently produced lung tumors, breast tumors, rare types of tumors of other organs (such as the thymus gland), several forms of leukemia and chronic respiratory disease. Aspartame has been linked to various neuropsychiatric disorders, including panic attacks, mood changes, visual hallucinations, manic episodes, and isolated dizziness. Certain studies show symptoms including headache, nervousness, dizziness, memory impairment, nausea, temper outbursts, and depression. Less research is available for Splenda also known as Sucralose but it is reported that years of constant use can contribute to serious chronic immunological or neurological disorders. With the above in mind it makes you wonder why such things are on the market??? Don’t get me wrong, I am not saying to go and drink loads of regular coke, eat loads of full fat yoghurts and have lots of full calorie products, as high amounts of sugar, saturated fat and excess calories will have their own problems. What I am saying is, you are better off staying well clear of anything labelled ‘diet’, ‘low cal’ or ‘reduced fat’ as they have adverse effects to weight loss and can bring major problems associated with health. From the research I have seen, I would not touch anything that has been altered to make it ‘more healthy’. This includes any spreads, margarine’s, cooking oils etc. I would always go for the full fat option but to include this as part of a balanced, healthy, natural eating plan and you will benefit from better health and weight control. I do ask that if anyone reading this has children that regularly consume diet drinks, please reconsider letting them continue. It’s education and guidance that will reduce the obesity problem that seems to be multiplying on a rapid rate, so if we can make a difference it is all worth it. I hope you found this blog useful. Please subscribe to my blog to get updates of future posts. Your mind is the most powerful weight loss tool! Weight loss and fat reduction doesn’t happen when you join a gym, pay a Personal Trainer, buy a fridge full of healthy food, get some new training kit or buy a new fitness DVD. You have to actually DO things and behave a certain way to get results. You need to go training, put the effort in, eat the healthy nutritious food, use your new training kit and keep at it. This is all down to YOU! If you have the desire and focus to do something and you BELIEVE you can do it, you will put the effort in that is required and are more likely to achieve what you want. If you don’t believe something is possible, you usually wont try it or will put no effort into it and prove yourself right. Your beliefs therefore affect how you BEHAVE. Your thoughts shape your actions so if you think you can do something and are focussed and determined enough then you BEHAVE in a manor that means you will. You’ll go out for your run instead of watching TV, you’ll prepare a healthy lunch the night before instead of leaving it and grabbing that fat packed sandwich in your lunch hour. Your behaviour will then have you PERFORM! We are a product of what we do so by sticking to your training routine, eating a healthy diet and having every move be about your desire you will get what you want! BELIEVE you can do it, BEHAVE in a way to do it and you will PERFORM it. This is a very important part of focussing the mind. You have to have goals! Imagine a football game without goals, it would just be 22 men (or women) running around aimlessly kicking a bag of air. Goals keep you going in the right direction, keep up motivation and have you strive for something. If you say “I want to lose weight”. That doesn’t motivate enough, you need to have a specific goals in mind like how many pounds you want to lose, what you want to weigh or what size you want your waist to be. This can then be measured to give a definitive yes when you reach them. If you set unrealistic goals you will not believe you can get to them and remember… what you BELIEVE affects how you BEHAVE. 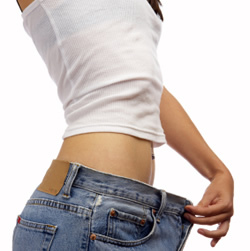 An ideal weight loss/fat reduction figure is around 1 pound per week. If you lose more than that then great but you want to set a figure that you can achieve rather than a figure that you’ll just miss out on as this will bring you to a negative mindset. Set a timeframe to reach your goals. If you do not have a date when you aim to hit your goals you can keep putting them off. You will prioritise other things that need doing and there will be no sense of urgency. It’s good to set goals for 4 weeks, 12 weeks, 6 months and a year. The big goal is what you really desire but the smaller goals keep you focused as they are bit size chunks. A typical goal should read like this…. On the 7th June 2011 (4 weeks time) I will weigh 8st 7lbs which will be a reduction of 4lbs. Your goal needs to be written down! It needs to be somewhere where you will continually see it, it needs to be in your mindset 24/7. The more you think about your goal, the more you act towards achieving it. You can also have other triggers in certain places. You could have a picture of a celebrities body on your fridge that you want to look like, you could have a positive message on your screen saver or a post it note on your alarm clock in the morning. Goal setting is a really important factor when it comes to focussing the mind. Focussing the mind is key to achieving weight loss, with the right mindset you will be amazed at what is possible! BE WHAT YOU WANT TO BE!!! Welcome to my first out of ten installments on how to permanently control weight and reduce fat. With the 10 tips I am going to give you, or strategies as I prefer to call them, you will be able to make long term changes to your lifestyle and eating habits to never worry about having to lose weight and reduce fat again. Firstly I am quickly going to look at what doesn’t work when it comes to long term weight loss…. Fad diets like; Lemon and soup diet, weight watchers, Zodiac diet, Atkins, Grapefruit diet etc. These are not long term solutions to losing weight, although they may well work to drop some pounds in the initial stage, the body is being starved of vital elements of nutrition that is required for optimal functioning. I am not going to go into detail of why each diet doesn’t work but to remain healthy and have your body working in the most effective way you need to have a balanced diet with all the appropriate nutrients in a way that can be maintained. This is why fad diets don’t work because you cannot stay on them long term, so what’s the point when up to 95% of people put the weight back on and usually more after they come off the diet. We all know that breakfast is the most important meal of the day as it kick starts your metabolism for the day and it should give you sustained energy until lunch. Most breakfasts however don’t allow this sustainment of energy required until lunch and can often lead to erratic blood sugar levels causing mood swings, cravings and storage of fat. So what is the key? Cereal, toast, juice, coffee are usual for breakfast but most cereals are high in sugary carbohydrate and therefore release energy quickly. Juice is also very high in sugar and bread isn’t exactly slow releasing in energy either. When foods release energy quickly is causes a sharp increase in blood sugar levels, your body then secretes insulin to take the sugar out of the blood but this then has to be stored somewhere else. It is directed firstly into the muscles and stored as glycogen but when they are full you then store the sugar as fat in your adipose tissue around the abdomen, hips, thighs etc. As a result this leads to increased fat storage and low blood sugar levels causing sugary cravings continuing the vicious cycle. If you make incorrect choices for breakfast it will affect your energy levels, mood and cravings throughout the whole day so it really is vital for weight loss to have the right breakfast! 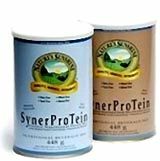 Synerprotein is a high quality soya based protein supplement which is dairy free, wheat free, yeast free, gluten free and virtually fat free. Having this before you have your breakfast will slow down the release of the sugar from your cereal or toast. You can mix it with water, milk or even juice as a quick easy option of protein for breakfast. 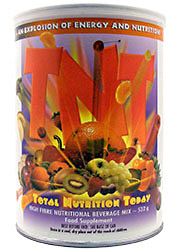 TNT is a high fiber and carbohydrate drink mix that also contains vitamins and minerals to ensure you get your daily allowance. Just put all of these in a blender for a very nutritious, energy packed, lovely tasting breakfast smoothie in order to take your first step towards permanent weight and fat reduction. I hope you have found this first installment interesting and if you want to hear more sign up for email notifications of the next blogs to having a better fitter you. In this blog I’d like to wipe out the common misconception among women that lifting weights will make them bulk up. While it is true that resistance training will result in a small gain in lean muscle mass, it is healthy and beneficial for increasing the resting metabolic rate. The Resting Metabolic Rate (RMR) is responsible for approximately 60-75% of daily energy expenditure. This is energy used by the body to sustain bodily functions, such as nervous system activity, cellular respiration and cardiovascular function. So by increasing your RMR it will then help to burn more calories throughout the day which a high percentage will be from fat stores. This will bring you better results in fat reduction, body/muscle tone, overall strength and lasting results. The belief that large increases in muscle mass will occur in females is false because testosterone levels in females are very low and testosterone is one of the major determining factors for producing protein to develop large muscles. Men have 10 to 30 times more testosterone than women which is why men can see significant increases in muscle size with a long term resistance programme where women don’t. If you go into any weights gym you will find most males want to improve muscle size but find it hard unless every factor is right, so it is going to be extremely difficult for women to build muscle with so little testosterone. If you’re thinking that women body builders manage it , then you need to appreciate the hours per day pushing weights, a perfected diet and more often than not performance enhancing testosterone boosters. Butts and Price (National Strength and Conditioning Association) investigated the effects of a 12 week single set resistance training program on the body composition of 92 untrained women aged 30 to 62 years. The women on average lost 2.2% body fat, dropped 2 dress sizes and significantly improved their muscular strength in all the exercise. All this was achieved without modifying diet and simply performing a regular single set resistance training program of 12 exercises, three days a week for 12 weeks! Not bad when you consider what was achieved with just 36 sessions of resistance training!! !